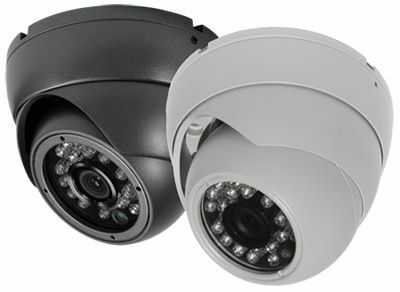 Looking for a camera with better image quality than the standard analog camera then the 1M24FD-TVI dome camera is a good choice. With 720p image quality and 16:9 aspect ratio this camera is a definite step up from standard analog cameras. Providing full color images during the day then switching to B&W at night with 60 feet of infrared illumination makes this a great choice for any wider area monitoring purpose. The IP66 weatherproof housing also provides good protections from all the elements. The full rotational eyeball design makes installation quick and easy on ceilings or walls. The HD-TVI video output will require the use of a HD-TVI video recorder and will not work with standard video recorders.